My thoughts on whatever interests me today. Its has been very hot the last few days, over 90+. I hope you are enjoying cooler weather. My wife did get the garden planted last week after i finished tilling it up. So far it is looking pretty good, but these hot days has really stressed it out, we have ben watering each night to keep it going thru the next day. Also I bought a new grill that is a smoker, gas grill, and charcoal grill all in one, it is very cool! The world news is not looking any better for this years crop production, look at the stories over in Europe of how they are destroying their food. Prices are really going to jump in the near future. Please stock up now! 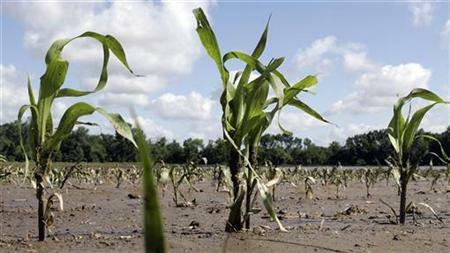 With all the rain, flooding and general bad weather the Country has had, food prices are going to spike up. The winter wheat report is not good and with all the rain it is not going to get any better. Around here farmers are having a tough go. They have had to fight rain and cool temps., corn that has been planted is about 3 inches high but a lot of it may not survive all the rain. On the good side the forecast is calling for higher temps next week so that will help. If you are able, I would suggest that you plant your own garden. We have many things ready to plant if the weather would clear, it is really upsetting that we can not plant as the ground has standing water. If you are unable to have a garden please stock up now while prices are still low, i would get anything that has to do with corn, which is of corse everything!